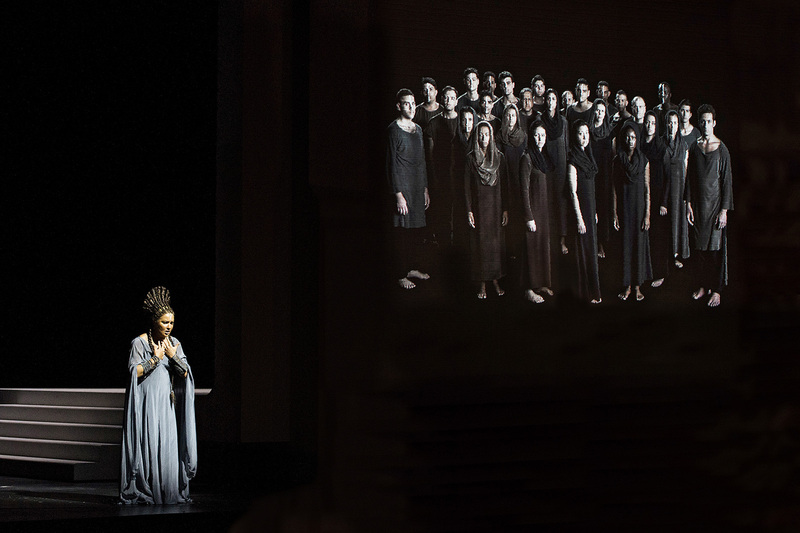 Iran born, New York based visual artist Shirin Neshat has directed Verdi’s Aida at the Salzburg Festival this summer. Known primarily for her work in film, video and photography, which earned her several awards, Neshat centres her artwork on the contrasts between Islam and the West, the feminine and the masculine, public and private life, as well as archaicism and modernity. 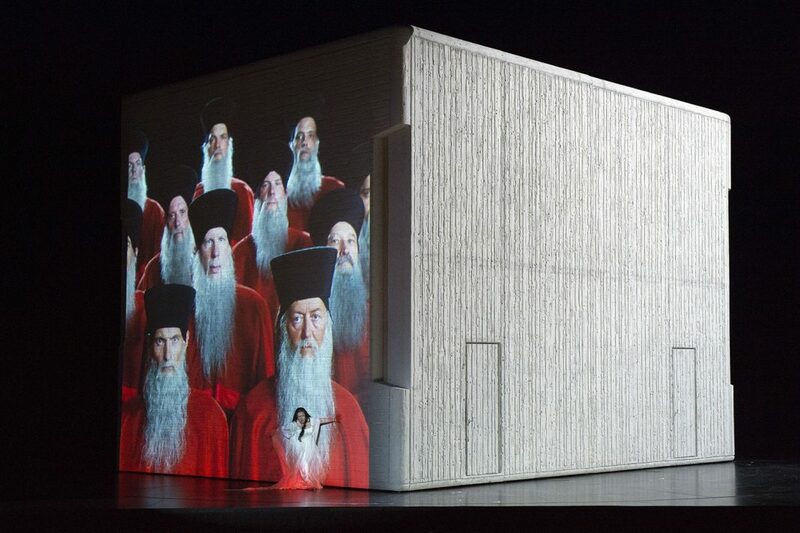 The stage design was entrusted to renowned designer Christian Schmidt. 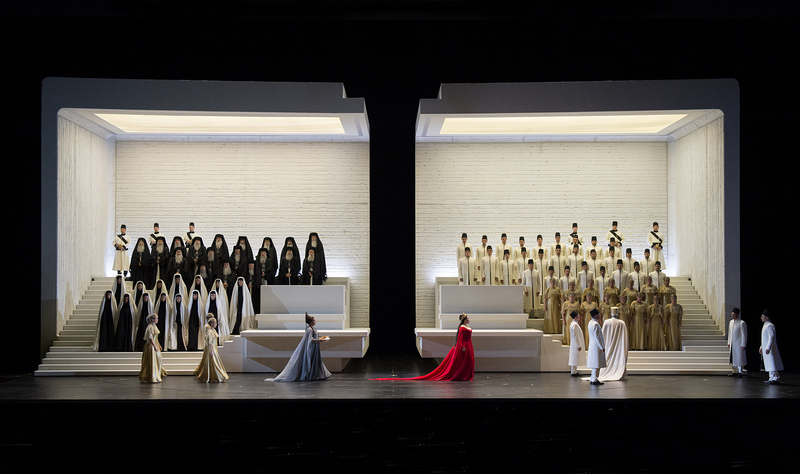 In his collaboration with the visual artist, Schmidt was particularly inspired by Neshat’s fresh approach to opera and to Aida in particular. Far from aiming at a decorative setting or at reproducing Neshat’s visual means on a larger scale, the duo has focused on Aida’s story, on the character – with whom Neshat said to identify – and on the aspects that make Verdi’s work relevant to today. 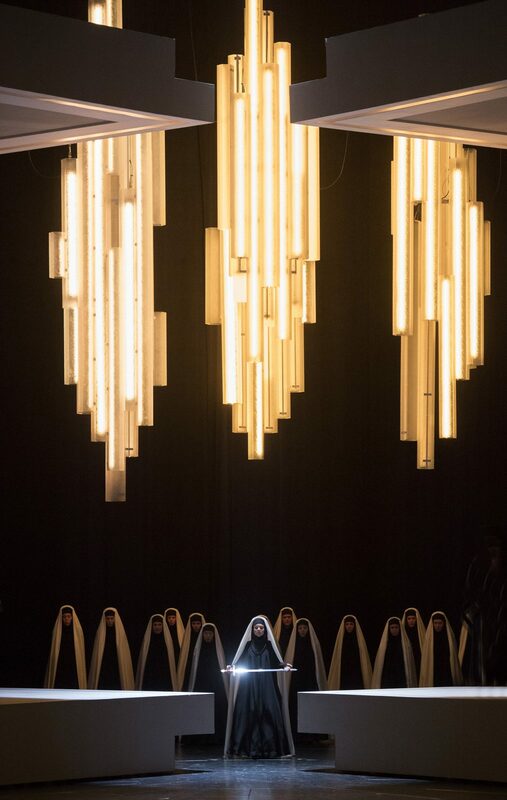 The stage is an “artificially sculptural” element, exploiting the possibilities and the perspective changes offered by two mirrored elements whose spatial configuration varies over the duration of the performance. 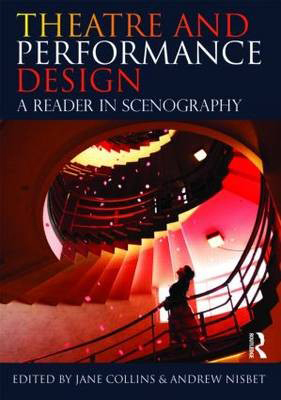 We have interviewed Christian Schmidt to get to know the staging in more detail. 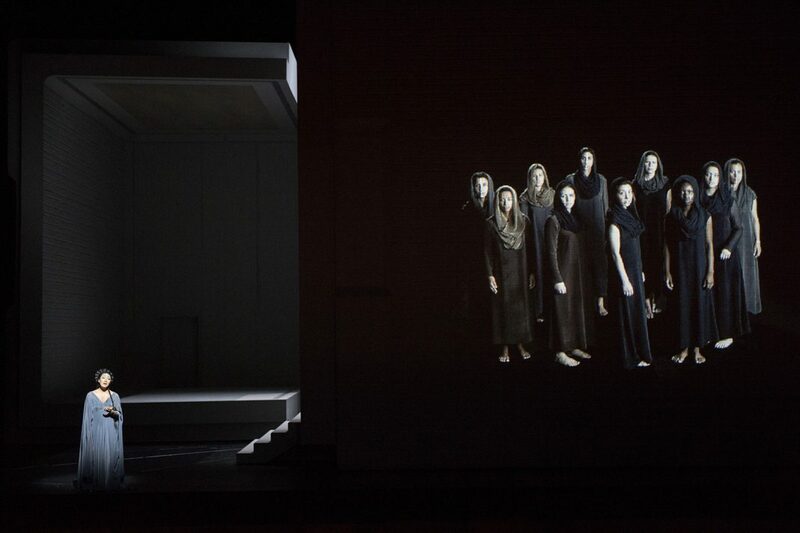 Giuliano Picchi: Christian Schmidt, how did you welcome the idea of collaborating with Shirin Neshat on an Aida production? 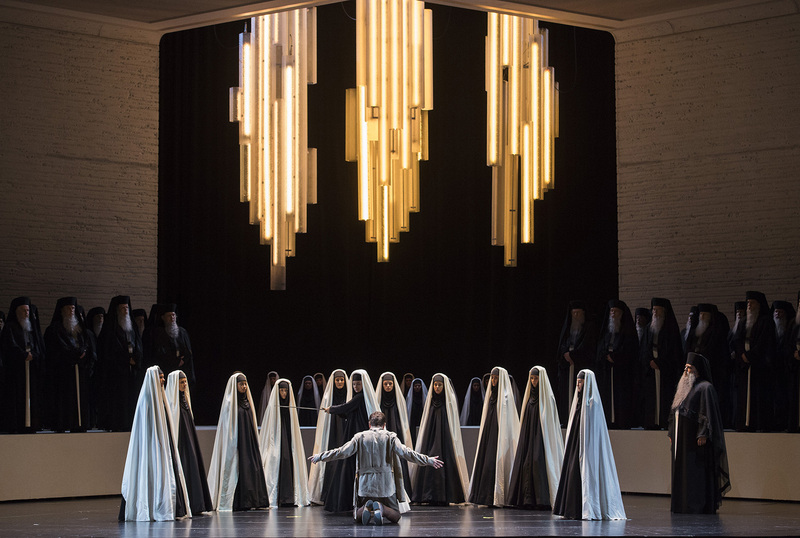 Christian Schmidt: Since I have known and appreciated Shirin Neshat’s work for a long time, the idea of Markus Hinterhäuser [Artistic Director of the Salzburg Festival] to entrust her with the production of Aida has made great sense to me from the very beginning. 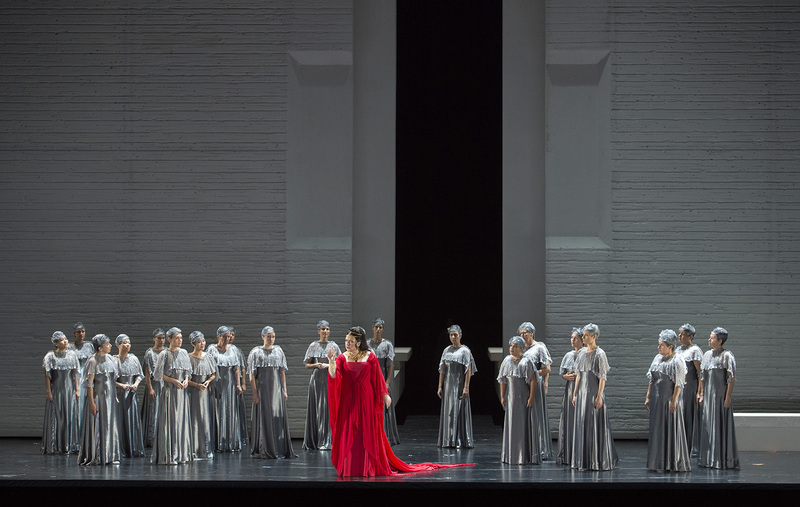 In an interview with Deutsche Welle, Neshat said that, at the time she was asked to stage the opera, she wasn’t familiar with Aida nor with opera as a medium. 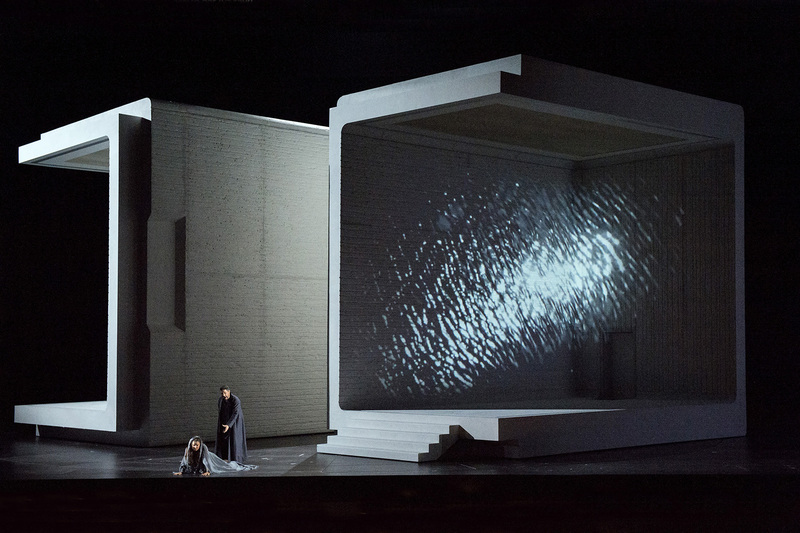 How did you experience this fresh approach, as a set designer? I have experienced this as very liberating. If we look at its historical reception, Aida is always burdened with an ancient iconography which is believed to be correct in terms of cultural history. The splendour and glamour of ancient Egypt have often prompted a fake pomp, rather reminiscent of a Hollywood classic à la Liz Taylor’s Cleopatra. 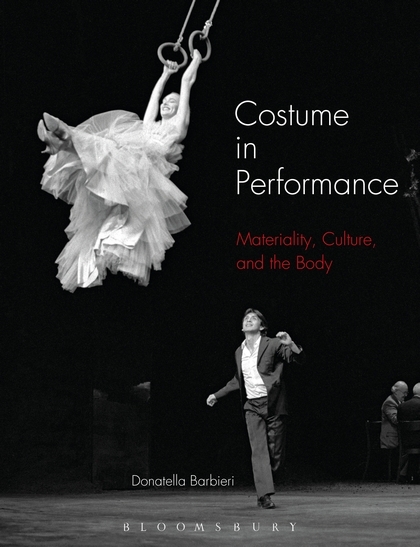 The unfortunate parades – including live animals – staged at the Arena di Verona did the rest helping to provide this opera with a dubious outcome. 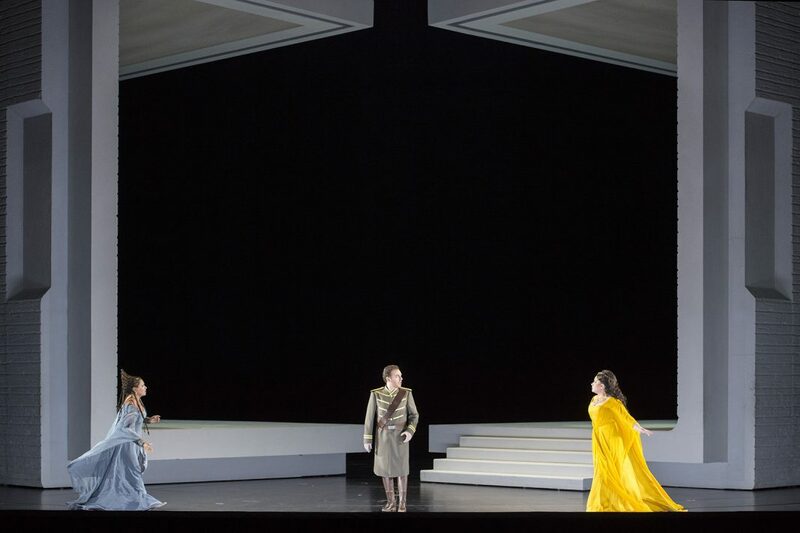 On the other hand, Hans Neuenfels’ legendary Aida production in Frankfurt has established another kind of theater tradition: Aida as a cleaning lady, a domestic worker with a migration background has been applied so extensively that this approach also seems to be used up. It was clear to me, from the very beginning, that Shirin Neshat was completely free from this burdened reception history, also due to her distance from the opera art form. 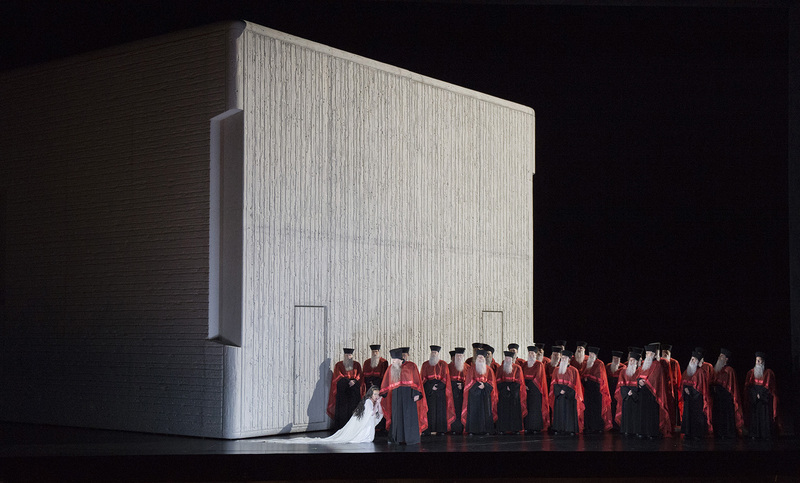 How would you describe the concept behind the staging? 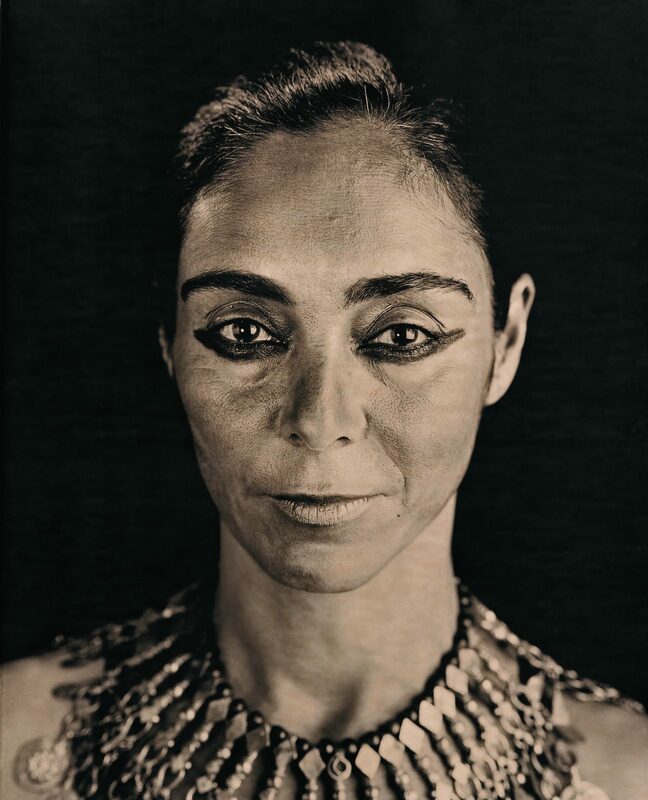 Shirin Neshat was interested in taking Aida’s story very seriously. She did not want to hide it behind a scenery burdened with culture-historical value. At the same time, however, she did not want to transpose the setting into a precise 2017 reality, for example replacing the old Egyptian pharaohs’ empire with a modern Arab sheikdom. Consequently, in order to avoid a precise temporal or geographic localization, we had to stylize the dramaturgical levels of the king and the military quite strongly. 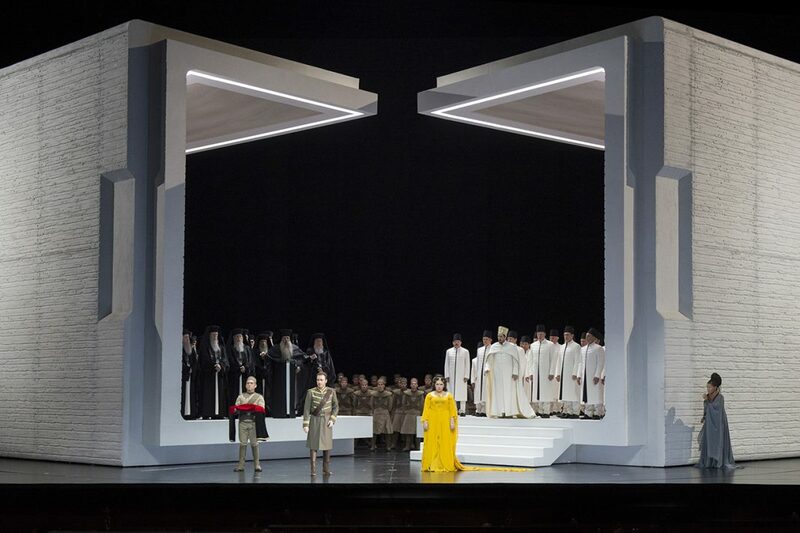 On the other hand, we were interested in the level of the priests and prisoners: through the priestly caste, Verdi depicts the connection of religious and political power very negatively. 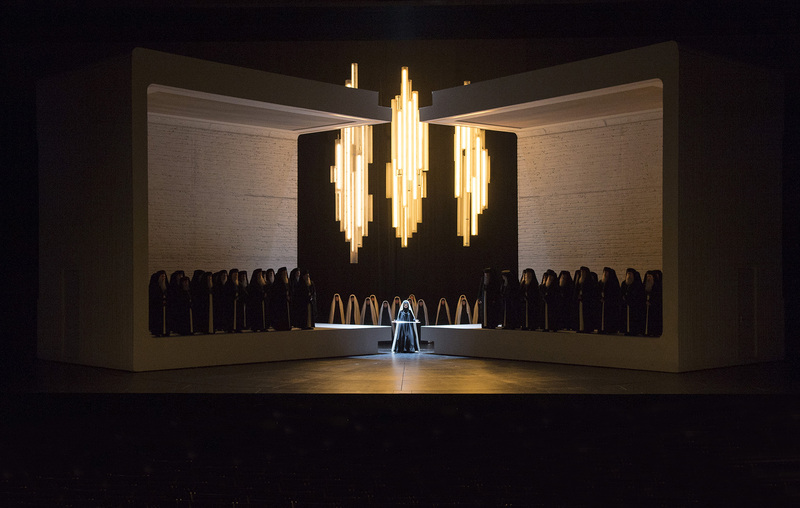 Yes, in the end, the religious leaders even rule against Radames. This ominous connection of religious and political power is so relevant today, at a time in which an alleged “holy war” serves as a justification for the worst crimes and atrocities, to make Verdi’s opera very contemporary. 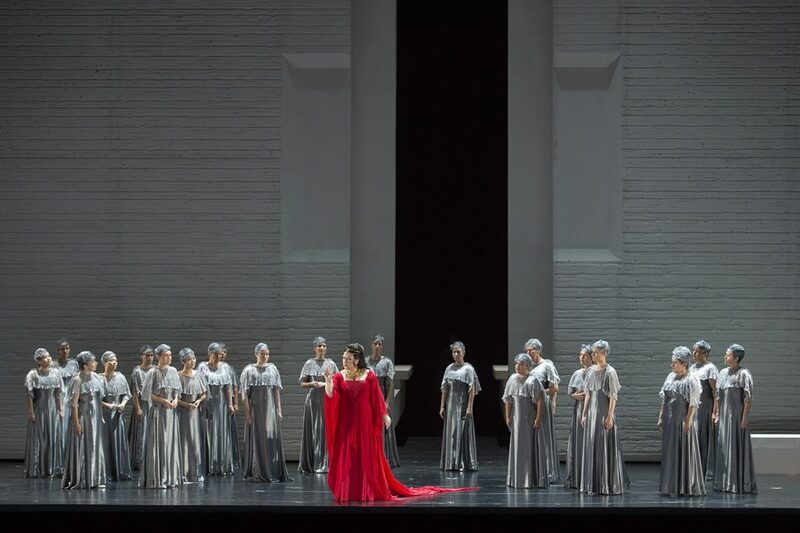 The title figure Aida is a slave, members of her people are taken prisoner. This background is crucial to the conflict in which Aida finds herself, for she loves an officer who is waging war against her own people. Whereas for us the prisoners level was somewhat underrepresented in the opera. This is also a reason why we used video as a theatrical medium. Coming to your design, how would you describe the setting? 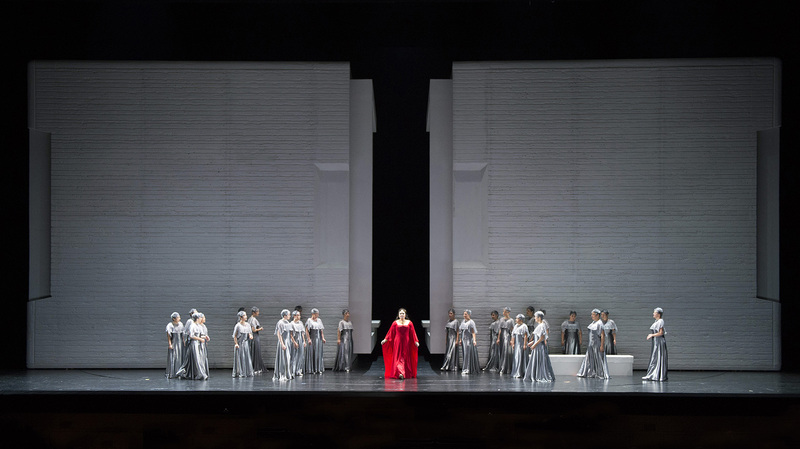 Shirin Neshat’s approach to her first opera-direction was that of a visual artist so she did not look for a realistic film set in the stage design, but rather something artificially sculptural. How has this translated into what we see on stage? During research in my studio, I discovered the formal possibilities resulting from the simple shape of a polystyrene box. With two mirrored halves, very different spatial configurations can be generated. 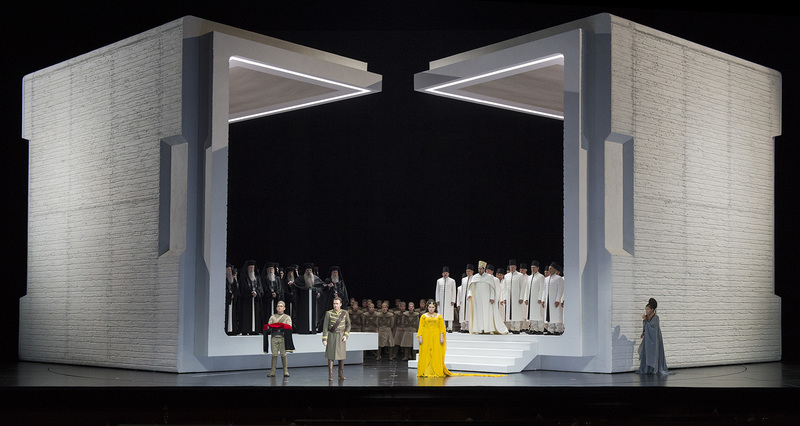 The extremely wide cinemascope stage of the Grosses Festspielhaus, with its impact, suits this formal solution very well. 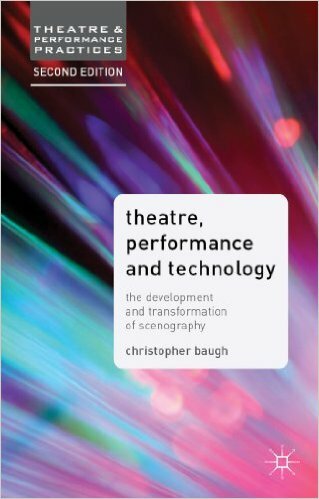 Moreover, put on a revolving stage, this built-up spatial configuration can be moved kinetically, enabling additional perspective changes. At our meetings, we agreed very quickly on the images resulting from the cubes. What about the floating lamps? In order to define the sacral sphere of the temple, it was important to add another element to the architecture. 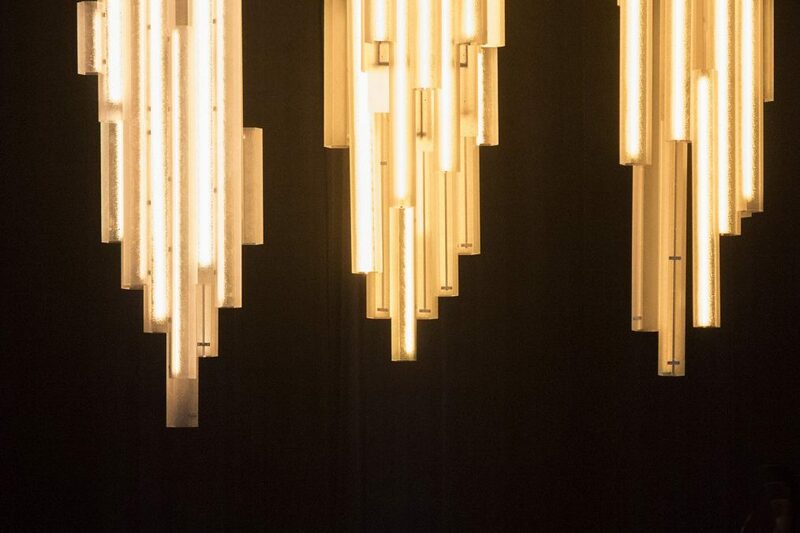 From modern glass tubes arranged as stalactites, I created a chandelier assembly hanging at the fly loft. The amber-colored light emanating from them is very important for the solemn but at the same time very uncanny world of the temple scene. What about the surface texture of the box? The surface of the Aida stage was the result of a long research. Initial attempts to simulate stone or concrete surfaces proved to be problematic because they immediately weakened the visual power of the cubes’ abstract architecture. The large polystyrene surfaces were finally treated with serial lines resembling those resulting, e.g. from sanding. The lines direction changes from wall to wall, so that this hatching further strengthens the three-dimensional effect of the shapes. In the set design, can we find any formal reference to Shirin Neshat’s art and aesthetics? 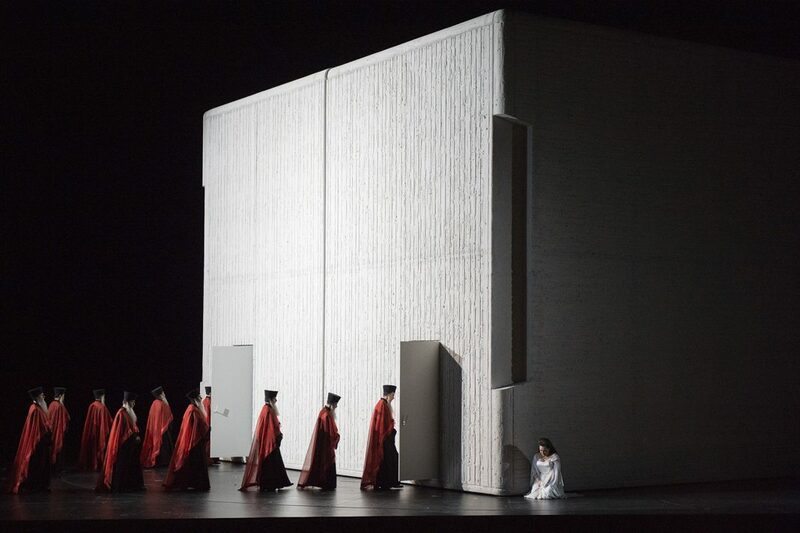 Surely there are moments in Shirin’s work that can be strongly connected to our approach to Aida. Archaicism often meets with modernity without being in contradiction. Rather, an interpenetration occurs. The modern reality suddenly appears to gain an archaic monumentality. Clearly, there are also points of contact between Aida and the way Shirin Neshat deals with the position of women in her own work. As an artist born in a strongly controlled Islamic Iran, she has the sense of being confronted with limits and prohibitions mostly derived from gender roles and religious belonging. Can you give us a final thought on the project? It can be surely said that the Aida project was an open experiment for this important artist. Her approach was full of curiosity and respect for a medium that, until then, had been alien to her. She did not have the imperative desire to see this new work field as an area where she could transfer seamlessly her habitual visual means on another scale and another soundtrack. With a certain humility, therefore, she wanted to make the story stand out. An attitude one should respect very much compared to rough direction approaches by other colleagues. 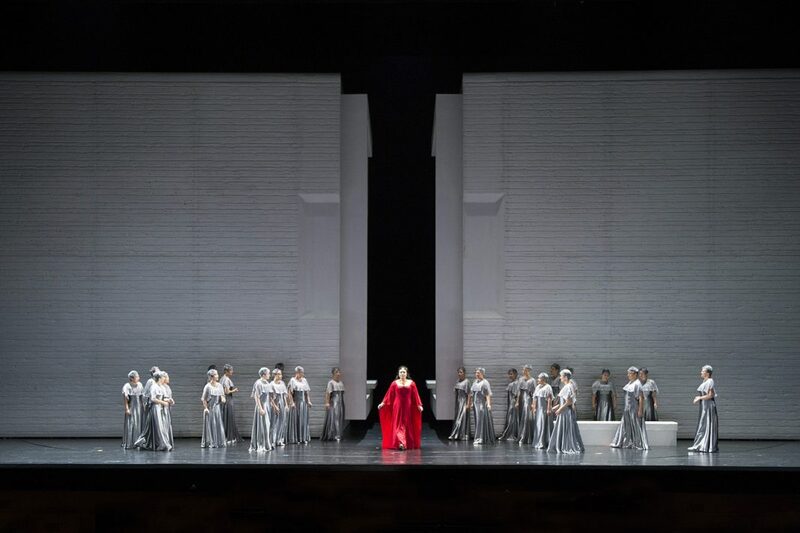 Nevertheless, the quality of this Aida production should also be seen in the fact that everything has gone through the perception or the aesthetic filter of a great artist. 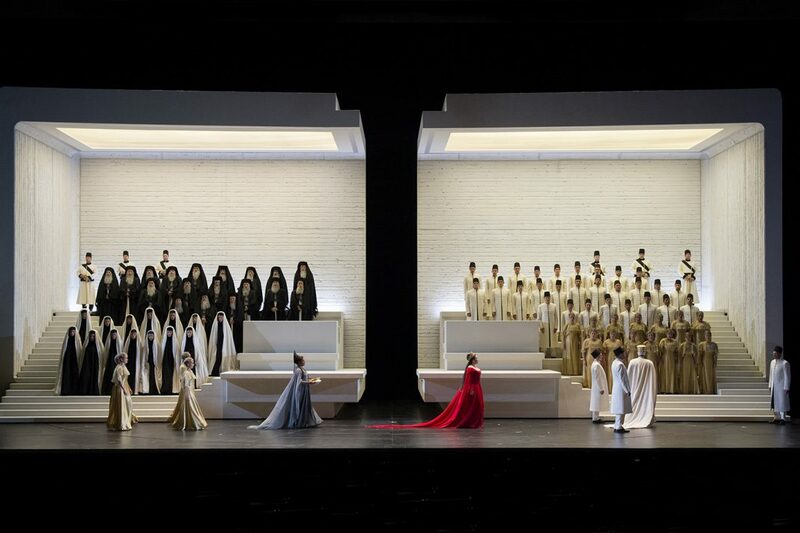 Especially in an opera which often seems to be associated with something quickly embarrassing, this is not to underestimate.